While we care about how your roof looks almost as much as you do, we care even more about how it holds up over the years. And that’s why we care about fascia. A well placed, properly installed fascia protects your roof. And they typically do a good job of it. 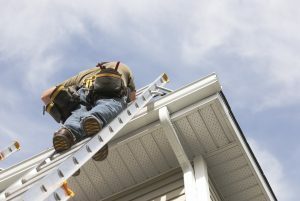 But they’re also at risk of falling down on the job if they get damaged by backed-up gutters or a poorly designed roof overhang. 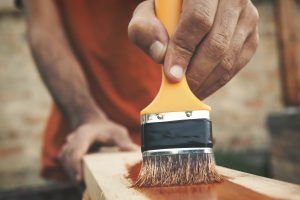 They can also become weak over time if they’re not maintained through regular painting (if wood), inspection and replacement. If the fascia on your home or business hasn’t been properly maintained, the signs are usually pretty obvious. There may be visible rot, holes, splintering or in extreme cases, the fascia may be missing entirely on sections of the roof. 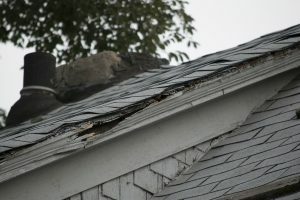 What is not so easily spotted is the impact that damage may have had on your underlying roof structure. Before replacing or repairing fascia, it’s a good idea to get a thorough inside and outside roof inspection from a qualified contractor. 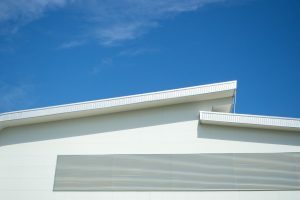 Otherwise, replacing the fascia boards could mean hiding ongoing issues that could weaken your entire roofing system. Taking care of your roof’s edge means three things: cleaning it regularly, giving it a good coat of paint now and then to protect it from the elements, and having repairs made as soon as damaged is noticed. Fascia that stays wet often shows algae or mold growth…a sign of problems to come. While cleaning your fascia (and soffits…a topic for another post!) isn’t as easy as sweeping a patio or washing down your windows, it’s just as essential to the appearance and protection of your investment. Make sure the cleaning method you select is appropriate to the materials used on your roofing trim. A good washing every year while you’re inspecting and cleaning out your gutters should do the trick, unless you live in an area with lots of tree debris or other soiling that impacts your roof. In general, a power-washing system is not recommended, as the pressure can force water behind the fascia and into vented soffits and cause leaks. If your roof trim is wood, select a quality exterior paint that can stand up to your region’s weather. And touch up any areas where you see flaking or peeling before water gets a chance to penetrate. If you notice new damage, small areas can generally be repaired by a homeowner. But long term damage, such as on an older home or a building that has not had regular maintenance should be evaluated by a pro in case there are more issues behind the trim. The main cause for concern is having very little roof overhang, which means rain and wind will conspire to pour water over your windows, window sills, and door frames. Wet wood tends to rot, so that’s why maintenance is so important…always check the caulking along the top of your window and door frames. next post: So What’s Under Your Roof?